The card-based RPG will arrive on the Nintendo eShop for $24.99. Image & Form’s latest title in the SteamWorld franchise, SteamWorld Quest: Hand of Gilgamech, finally has a release date for Nintendo Switch. It will arrive on April 25th for the Nintendo eShop and retail for $24.99. The title is a role-playing game, adding further diversity to a franchise that’s included Metroidvania games and a turn-based tactical strategy titles. Of course, there is a twist. In SteamWorld Quest, players will create unique decks of cards to fight with. With over 100 unique cards that can be crafted and upgraded, you’ll venture into a world of magic, knights, and dragons. Why are steambots in this medieval fantasy setting? Why not? 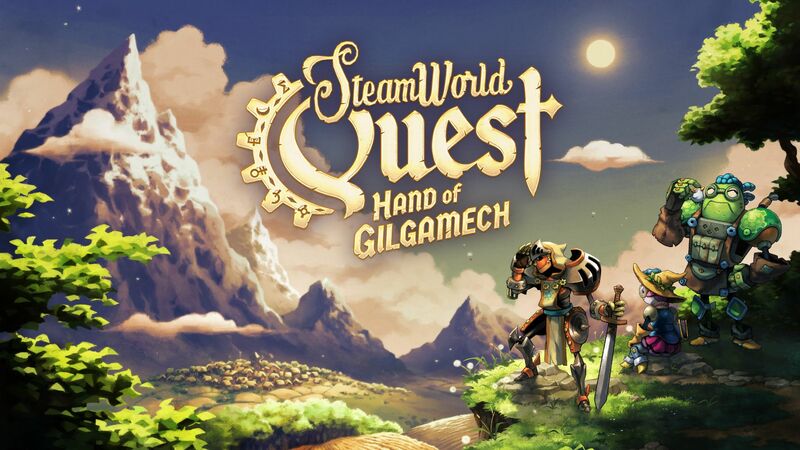 At Nintendo’s Nindies Showcase in January, SteamWorld Quest: Hand of Gilgamech was announced as releasing first for the Nintendo Switch. It’s currently exclusive to the same, but will likely come to other platforms in the future. Check out the release date trailer below, along with 22 minutes of new gameplay footage courtesy of IGN.